However, cyberbullying encompasses many other scenarios and, although it might not seem as threatening as physical bullying, the psychological consequences are equally bad. Cyberbullying has been shown to result in lower self-esteem, loneliness, depression, and, in some instances, can even lead to suicide. Several studies have found there are connections between cyberbullying and other socio-demographic factors such as gender and age. A study recently published in BMC Public Health has compared patterns of cyberbullying victimization across seven European countries and looked specifically at internet use and socio-demographic as well as psychosocial variables. Their results showed that the highest degree of online bullying occurred in Romania (37.3%) and the lowest in Spain (13.3%). The researchers performed a school-based study in seven European countries (Germany, Greece, Iceland, the Netherlands, Poland, Romania, and Spain), asking students to complete specially designed questionnaires. These contained simply phrased questions with definitions and examples of bullying behaviors online, with emphasis on the elements of hostility or hurtfulness. Their study included 12,372 14-17 years olds. When comparing individual countries to each other, their results showed that the highest degree of online bullying occurred in Romania (37.3%) and the lowest in Spain (13.3%). 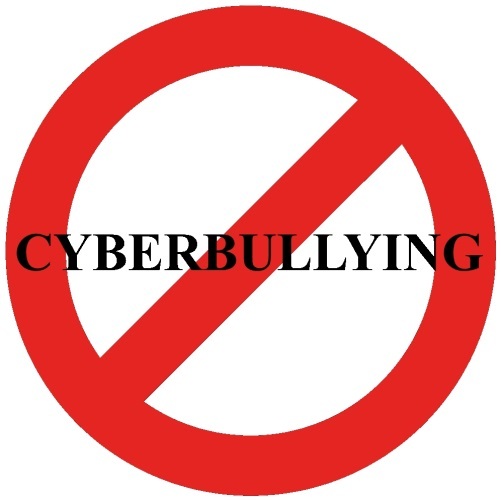 The authors suggest that the high rate of cyberbullying in Romania might be linked with the sudden rise in internet use, which has resulted in a large technological gap between parents and the younger generation. In other words, parents struggle to keep up with their children and the newest online developments, and therefore are not able to provide the right kind of education and protection (boundaries) that children require. Percentage of Cyberbullying across Seven European Countries. One of the most worrying findings of this study is the overall increase in cyber-victimization since the “EU Kids Online” study carried out in 2011. Though these studies are not completely the same (the ages of the adolescents vary), this shows a potential growing trend in cyber-victimization that should not be ignored. To understand cyber-victimization and why some individuals are affected more than others, the authors looked at this in relation to other factors, not only including previously studied socio-demographic characteristics, but also other aspects that might provide a bit more insight. The use of social network sites such as Facebook, Twitter and Instagram for more than 2 hours a day increased the incidence of cyberbullying across three countries. They combined psychological factors and the surrounding social environment to analyze the teens’ physical and mental wellness and how this might be linked to cyber-victimization. Not surprisingly, adolescents that internalized their problems (such as depression and anxiousness) were more likely to experience cyberbullying in all countries analyzed. The final part of the study focused on the overall time spent online and how this might affect the chances of cyber-victimization. The use of the internet for more than 2 hours increased the risk of online bullying in Romania. However, the use of social network sites such as Facebook, Twitter and Instagram for more than 2 hours a day increased the incidence of cyberbullying across three countries. The study findings indicate that the psychosocial impact of cyberbullying needs to be acknowledged and dealt with, as it is related to distress and psychopathological symptoms. The researchers also call for educational settings to integrate information and communications technology education into their curricula, especially where use of the internet has risen abruptly. The observational nature of the study limits conclusions about the direct causes of cyberbullying. As five years have passed since the data used in the study was collected, its ability to represent the current picture of cyberbullying may be limited. Before joining BMC in 2017, Eva completed her Undergraduate Degree in Biomedical Sciences at the University of Aberdeen. After graduating, Eva stayed on at the university to complete her PhD in Translational Neuroscience where she focussed on therapies for Spinal Muscular Atrophy, a leading inherited cause of infant mortality. Eva relocated to London to pursue a career in publishing, and to develop her interest in science communication. She is excited to be actively involved in the development of BMC Public Health and highlight important public health matters by contributing to the BMC Series blog.